Doctor’s Choice™ AOX-15 / 90 caps - Nature's Way®. 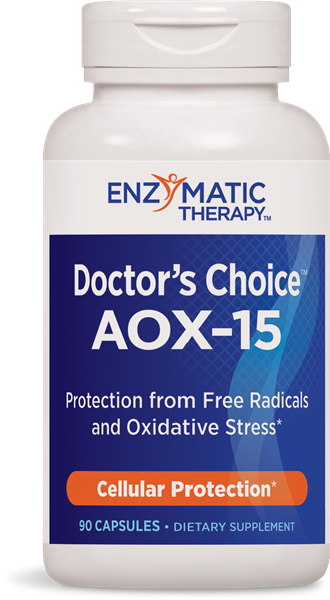 Why use Doctor's Choice™ AOX-15? Caution: Do not use if sensitive to caffeine, have a blood clotting disorder, are taking blood thinning medication or are within a week of any surgical procedure. Not recommended for use by pregnant or nursing women, or children under 18 years of age. If taking any medications, consult a healthcare professional before use. I already take Doctors Choice Women™. Why would I want to take Doctor's Choice AOX-15?